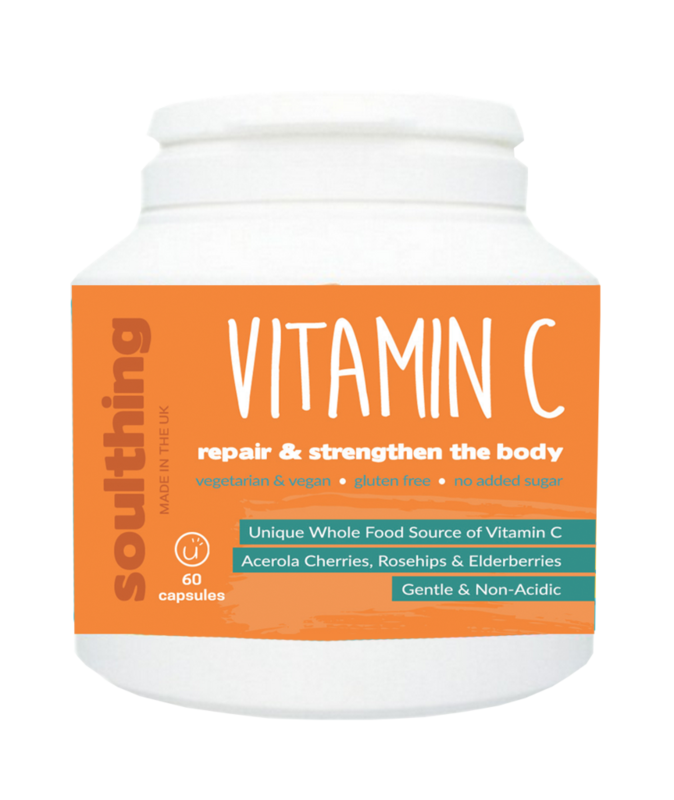 Soulthing Supplements **REVIEW** and Discount Code! As a busy mum of 2 I often don't eat as well as I should, sometimes skipping meals altogether meaning by the end of the day or a busy week I am left feeling pretty rubbish and run down. So when the lovely people at Soulthing offered some of their high quality supplements to try I figured I had nothing to lose and eagerly awaited there arrival! 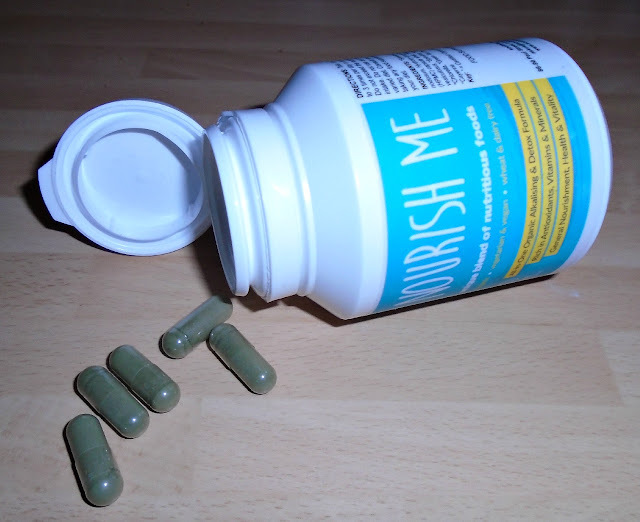 I chose the Nourish Me and Vitamin C supplements as after reading their descriptions these seemed to be the best suited to my needs. This organic food supplement offers alkalising, cleansing, detox and nourishment support. It combines a unique blend of iodine-rich food-approved seaweeds (Ascophyllum nodosum and Fucus vesiculosus), with a range of vegetables and herbs, namely artichoke, chlorella, green tea leaf, spirulina, rhubarb and cayenne. This blend of nutritious foods provides you with easy daily access to organic nutrients, antioxidants, phyto-chemicals (including chlorophyll), vitamins, minerals and enzymes. It provides ideal immune system support for all ages. This gentle, non-acidic vitamin C supplement is derived from natural fruits and herbs, namely Acerola cherries, rosehips, blackcurrants, parsley leaf and elderberries. These food form ingredients are naturally rich in antioxidants, bioflavonoids, vitamins, minerals and other phyto-nutrients and are more readily absorbed and utilised by the body than synthetic vitamin C (ascorbic acid). Each bottle comes with a bright colourful label which clearly states all of the ingredients within each supplement as well as what each supplement is used to help. I really liked this as often this is on a piece of paper or a box that comes with the supplement but this ends up getting lost and you are left guessing but not with the Soulthing supplements. The supplements come as easy to swallow capsules (see the pic below) which makes them easy to take with a few small sips of water. When the supplements arrived I had actually woken with a cold the same day, I figured it was probably a bit late for the supplements to make any difference now but decided to start taking them anyway. Now I have to be honest I am one of those people who once I have a cold it seems to linger around for weeks, however these supplements 100% made a difference!! My cold never seemed to reach that "bad"stage and after just 3 days was completely gone! I can only assume it was down to taking these supplements as I had taken no other medication. The supplements have made me feel more awake, more alert and much better in myself in general. My skin seemed to also improve lots and felt much smoother than I have felt it in some time! 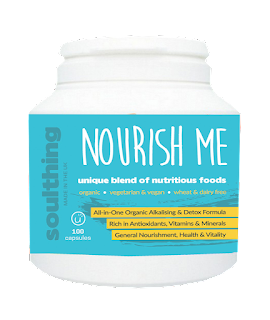 If you are interested in finding out more about more about Soulthing or want to try these supplements for yourself check out the Soulthing Facebook page or Website. If you fancy giving the Soulthing supplements a go use the code TTS2015 to receive 10% off any order! **I was not paid for this post, I was sent this item in return for an honest review.